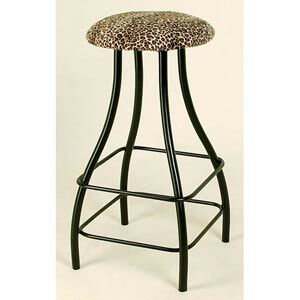 Backless swivel stool in satin black finish with “Jungle” soft Cheetah fur on seat. Product is made of wrought iron and assembled and finished by hand. Made in the USA.All finishes are custom and hand mixed daily. The colors may vary slightly from the image and from order to order as is the nature with custom hand mixed finishes.